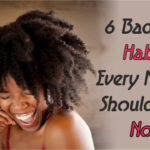 The Best 6 Conditioners For Fabulous Slip! 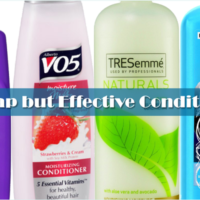 The Best 6 Conditioners For Fabulous Slip! It doesn’t matter if you are natural or relaxed, conditioners especially the good ones are a must have in your product arsenal. Personally if a conditioner does not have slip it goes into what I like to call the product 13 cabinet. That is the cabinet that has all the products with the fancy label and nothing to write home about inside the bottle. There is an little known way to identify a conditioner with slip, simply look at the ingredients and search for emollients. 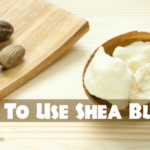 Examples of emollients are Shea Oil, Jojoba Esters, Cetyl Alcohol, Stearyl Alcohol, Dimethicone, and even mineral oil. 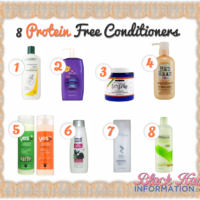 To help you along, since we are lovely like that, here are our picks for the best 6 conditioners that have absolutely great slip! 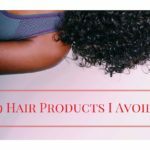 Tresemme Naturals Nourishing Moisture Conditioner – Tresemme is the old faithful, when all else fails and you want to go back to what your hair loves, most ladies will tell you Tresemme has the prize. Again, the formula is super creamy, and when you add it to your hair you can literally feel the tangles melt away. Always keep a huge bottle in your bathroom cabinet for those times when you are on a product junkie hiatus because Tresseme will never let you down. Here is a great tip for detangling, always section your hair and don’t be stingy with the conditioner. 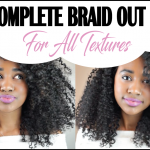 Add enough to allow you hands to slip through your hair with little resistance with each pass as you detangle. 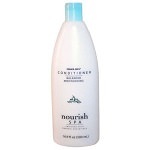 Trader Joes Nourish Spa Balance Moisturizing Conditioner – This conditioner is up there with the best of them, it is so creamy, so thick, its almost impossible to get the stuff out of the little spout. If you can manage to put a little elbow in it and get some out, you will have the best detangling potion hands down for your hair. The slip is amazing and the conditioner is also of the highest quality. 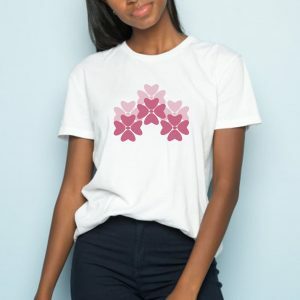 Because the ingredients are so amazing it can also double as leave in because it is free of cones, parabens mineral oil just to name a few and it wont leave your hair weighed down. Try this recipe for leave in moisture – A dollop of Trader Joes Nourish Spa, a dollop of shea butter, and a little oil, mix well and use daily. You will not be disappointed. 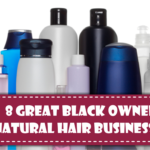 Black Hair Information > Recently Added > GROWTH > DEEP CONDITIONING > The Best 6 Conditioners For Fabulous Slip! I’M LOOKING FOR SOME RODUCTS FOR MY DAUGHTERS HAIR. HER HAIR IS 4C AND I WOLD LIKE SOME HELP ON WHAT PRODUCTS I SHOULD BE USING FOR HER HAIR. 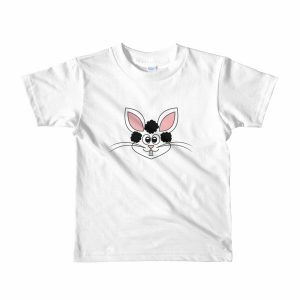 ALL OPINIONS ARE WELCOME!! My fave four at the end! 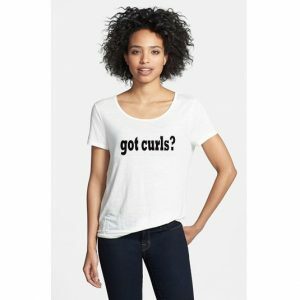 I have low porosity hair, so the baking soda opens up the cuticle so that the conditioner and oil can penetrate better….. Works AMAZINGLY. You can close the cuticles back with an ACV rinse or cool water, but personally I just choose to do a second conditioning with a higher quality conditioner (to make sure I get out all the baking soda mixture) and then rise, dry and style. 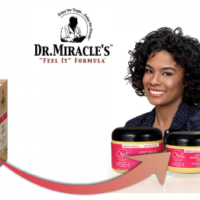 Your question was posted almost 6 months ago and was wondering if you have since tried the Satinique Hair Care line. And if so, what were/are your thoughts? The Traders Joes conditioner is my absolute favorite! And it’s only $2.99! I’ve tried 3 (Shea Moisture, Trader Joe’s, and Herbal Essences). The only one that gave me a lot of slip was the Herbal Essence. Can it be used as a leave in, or is it rinse out only? ..the herbal essence that you use.. The one I use is a rinse out one. Slip makes it easier to detangle. It feels like your fingers glides down your hair. I have them all except the Trader Joe’s. I love them all! Tresemme is my staple conditioner now. Herbal Essences is great as we’ll. I use the V05 as a leave in for my daughter’s hair. One ‘n Only Argan oil conditioner work very well. Most buy works wonders! ! Love it! Herbal essences works great on my daughter’s hair. the shea moisture does not give me good slip….it leaves my hair dry I had to put olive oil in it to finish both the shampoo and conditioner off. I like Keracare Humecto Cream Conditioner. It is awesome. I buy a big tub of it. The first two are a joke, at least for transitioning hair. Tangle city. Personally, the trader joes did nothing for me, I’ll try tresseme next. Aussie moist is the best… And the deep conditioner is great also Family Dollar usually marks them down.. Walgreen’s too.. Trader Joe’s I have never heard of it.. Or over looked it… Where can I buy the products?? I’ve never heard the term “slip” before, regarding hair. What does it mean? I’ve tried all of them (product junkie). 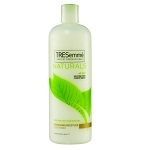 Believe me when I say out of these conditioners, Tresemme Naturals has the best slip, conditioning and smell!!!! My favorite!!!! And it’s silicone and paraben free!! I tried Tresemme after the supposed change in formula. The old formula must’ve been great. I can’t rave about this one. I get minimal slip. However, I get fantastic slip from VO5 and Hello Hydration. Yes what does slip mean? The slip is when your hair feels silky and you can finger omb thru to detangle your hair..Havent tried V-05 but I have 4 C low porosity hair, Auggie Moist works the best. I need to check out Trader Joes Brand too. What do you mean by “slip”? Slip your hands right through your hair? 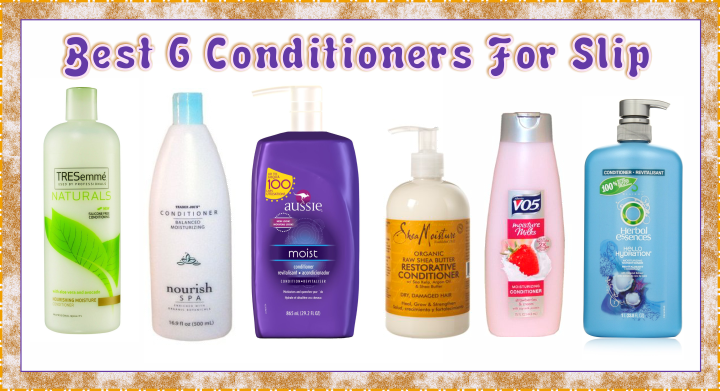 Aussie Moist and Spa Conditioner are the truth, they are inexpensive and work great at detangling my hair. I’ve been using them for years! VO5 is good too if you are on vacation and forgot to bring conditioner with you. It’s cheap so if you leave it or don’t bring it home you won’t lose any sleep over it. Slip refers to the feeling of your hair when conditioner is in it. When your able to use your fingers, comb or brush can slip through your strands with ease. 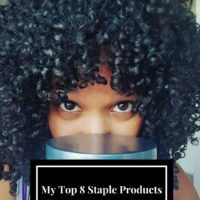 The tresume naturals is all I use!! Treeseme natural is my fav. 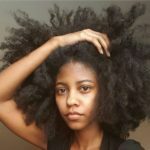 What’s the best for natural hair? all of these are old posts…Anybody out there got any info on the best conditioners with the best slip properties for today?